NY: Triumph Books, 2004. Bound in white and blue boards in bright dust jacket that has a portrait of MM on the front panel. A tight, clean copy of this 171 pp. 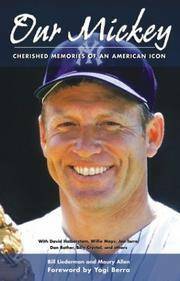 photo illustrated book on "The Mick". . First Edition. Hard Cover. Near Fine/Near Fine. WI: Willow Creek Pr, 1998. Bound in black cloth, stamped in gold in matching dust jacket. Mostly photos by Ron Modra - but worthwhile photos. 160 pp. Tight, clean copy. . First Edition. Hard Cover. Near Fine/Near Fine. 4to - over 9¾" - 12" tall. Ohio: Society for American Baseball Research, 1998. Bound in glossy wraps with a colored picture of subject to front panel and a sepia toned to rear panel. Has black & white photos throughout volume. Is in near-fine condition. 141 pgs.. First Edition. Soft Cover. Near Fine/No Jacket. New York, NY, U.S.A.: Dutton/Plume, 1989. 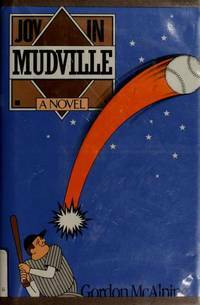 Tight, clean copy of the first edition of this baseball novel by McAlpine -- A blend of history, myth and magic. Remainder mark to bottom edge. Author's first book. . First Edition. Hard Cover. Near Fine/Near Fine. NY: St Martins Pr, 1991. Bound in green boards, stamped in gold in matching dust jacket. A Baseball Mystery. 239 pp. Tight, clean copy.. First Edition. Hard Cover. Near Fine/Near Fine. New York: Arbor House, 1979. In the tradition of Bernard Malamud's "The Natural"; 347pp. By the author of "Once Upon a Droshky". . First Edition. Hard Cover. Near Fine/Near Fine. NY: Dutton, 1991. Bound in blue cloth and boards, stamped in red and white in a matching dust jacket. Tight, clean copy -- Phila. Inquirer review laid in. . First Edition. Hard Cover. Near Fine/Near Fine. Boston: Houghton Mifflin Company, 1973. 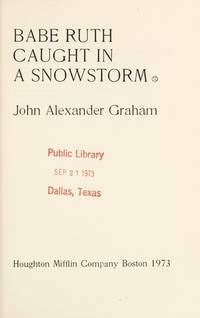 Bound in light blue cloth, stamped in red and blue in illustrated dust jacket that depicts the Babe in a snowglobe. 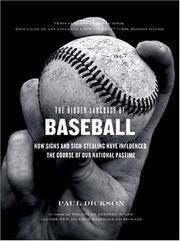 Popular baseball book. 280 pp. . First Edition. Hard Cover. Near Fine/Near Fine. New York: Harper & Row, 1973. Basis for the movie; 244pp. Tight, clean copy with a bright dustwrapper. Scarce in this protected condition. . First Edition. Hard Cover. Near Fine/Near Fine. New York, NY, U.S.A.: Alfred A. Knopf Books for Young Readers, 1979. Boundi in tan cloth and white boards. In Illustrated dust jacket. 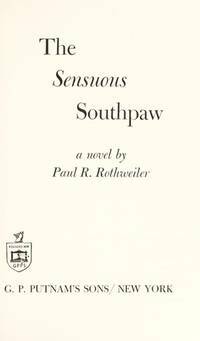 The author's first novel. 308 pp. . First Edition. Hard Cover. Near Fine/Near Fine. Boston: Little, Brown, 1979. Bound in black and red boards, stamped in silver in black and white dustjacket. 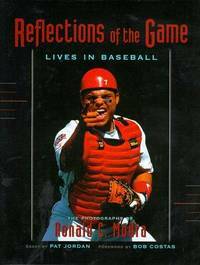 The first edition of this baseball novel. 252 pp. . First Edition. Hard Cover. Very Good ++/Very Good +. NY: Walker Books, 2003. Bound in light blue boards, stamped in gold, in matching dust jacket that has some pictures of a Dodger giving signs. 230 pp. . First Edition. Hard Cover. Near Fine/Near Fine. By BOYD, Brendan C. & HARRIS, Fred C.
NY: W W Norton & Co Inc, 1991. Tight, clean copy of this baseball novel. 339 pp. Bound in blue cloth and boards, in matching dust jacket. . First Edition. Hard Cover. Near Fine/Near Fine. NY: Putnam, 1976. Bound in green cloth, stamped in white. A 253 pp. 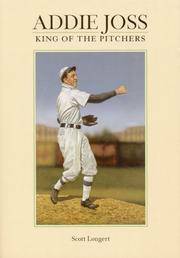 baseball novel on the first female pro baseball player. Tight, clean copy. . First Edition. Hard Cover. Near Fine/Very Good ++. Bethlehem: Lehigh University Art Galleries, 2001. Bound in stiff white wraps with an illustration of a baseball player on the front panel. This is the first edition of the Art Exhibition Catalogue from the show. 80 pp. Handsome production. 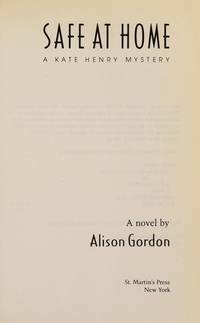 Scarce - no copies on OCLC/Worldcat. . First Edition. Soft Cover. Near Fine/No Jacket. Oblong 4to. Saint Louis: Sporting News, 1942. Bound in red white and blue wraps with picture of Ted Williams on the front panel (with a star noting .400 hitter) -- and he and Joe DiMaggio on the rear panel. 222 pp. All of the information that you needed to know re: baseball in the early 1940's. . First Edition. Soft Cover. Very Good +/No Jacket. 24mo - over 5" - 5¾" tall. New York: Viking Adult, 1977. Bound in 3/4 orange boards with an orange cloth spine with gold and white lettering to spine. This is the first edition of the author's first book. Shows the lightest wear to extremes. Dustjacket shows slight wear to folds. 305 pgs.. First Edition. Hard Cover. VG++/VG+. New Jersey: Graphic Press, 1979. 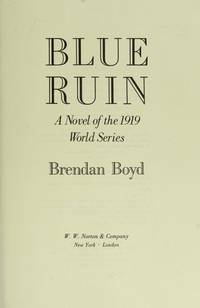 Bound in blue cloth with white lettering to spine. is inscribed and signed by the author to ffep. Has black & white photos throughout volume. Shows as tiny bump to front panel edge and minor wear to extremes. Dustwrapper shows a closed scuff to front panel by flap fold, and wear to extremes. 140 pgs.. Inscribed and Signed By Author. Second Edition. Hard Cover. VG++/VG+. 8 1/2" X 5 1/2". New York: Hastings House, 1947. Bound in blue cloth with black lettering to front panel and spine, includes black & white photos of players throughout volume. Has previous owner's signature to inside of ffep, with fading to edges and wear to extremes. Dustwrapper shows chipping to bottom spine end and mild wear to extremes. 282 pgs.. First Ediiton. Hard Cover. VG++/VG+. 9 1/2" X 6 1/2". KANSAS: Society for Amer Baseball Research, 1985. Bound in light blue glossy wraps with a photo of George Brunet to front panel. Includes photos and stats of players throughout volume. Shows light overall rubbing and light wear to extremes. 158 pgs.. First Ediiton. Soft Cover. VG+/No Jacket. 9 " X 6 ".